Some glass coffee tables can feature just one or two drawers under the table surface, while some others may be equipped with drawers from top to bottom. Sure, the latter options looks a bit bulkier, but at the same time it offers a very impressive storage capacity – you might even be able to downsize on another storage unit in your living room. As a rule, shelves to do not have the same storage capacity, and most of them are designed to keep the objects at sight. This is a classic coffee table design with some space under the surface for storing books, magazines, and some other minor items. On the whole, this is a great idea for those homeowners who are not really looking for extra storage capacity – just a shelf or two to accommodate magazines or maybe some notary. 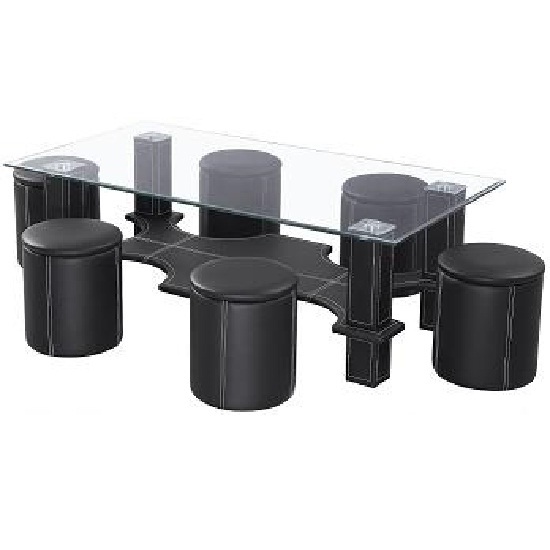 Another great and functional example of black glass coffee table with storage is a model with a lifting surface. This is one of the best approaches, as the storage space remains hidden, and the model preserves its compact size and unobtrusive design. 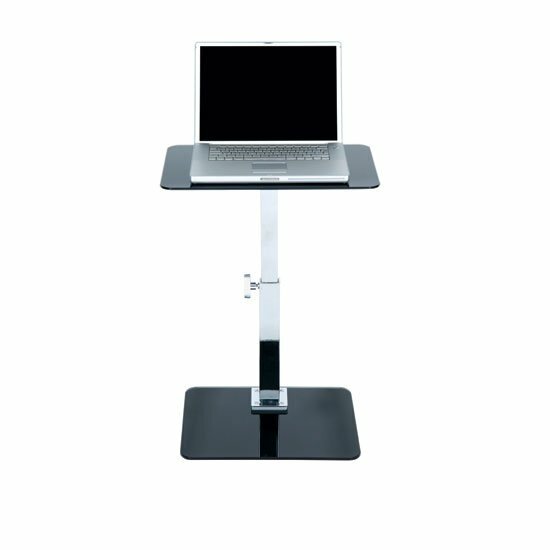 Even more importantly, some of these tables an also act as mini workstations – that is, you can adjust table height to accommodate your laptop. Another great example of hidden storage is a table with sliding surface. In addition, some of these tables have an option of increasing their surface space, which makes them perfect spots for drinks when guests come over. Hidden storage below the surface is not usually very great, but those are still very functional, very stylish models. Finally, it is also possible to buy a set of table and several puffs. Puffs will have a put-on top, and will be empty inside. This is, of course, not an ideal solution for sorting the things you store, but it is also a great and compact arrangement. You can easily find all of the above-described models on Furniture in Fashion website. The site is designed for UK market – this is a local platform that ensures quick delivery times and offers UK residents a chance to visit company showroom in Farnworth. On the whole, this is one of the few e-commerce stores that offer a chance to combine the comfort of shopping online with short lead times and an actual opportunity to physically examine all of the listed products. And the best thing is that prices are more than affordable, and there are very impressive (sometimes, up to 75%) discounts on selected products.